Don't know what to get a friend for Christmas or stuck for what you should get that person at work for Secret Santa? Look no further because this No7 Mini Eye Palette is the perfect Christmas gift whether it be for a stocking or any kind of present. It contains 8 eyeshadows chosen from a selection of popular No7 collections and has such elegant packaging. The colours are suitable for everyone and they are stunning, I like the mix of glitter shades and the base ones. There is quite a variety to match the colours with and to create different versions of smokey eyes. It also fits perfectly in my handbag and because it is so small it is also really good for nights out as it isn't too big to go in my clutch bag. I got this amazing eye palette whilst doing my Xmas shopping the other day, I swear it is so hard to resist buying stuff when you are shopping for others. It is almost like you have to buy yourself something... Anyhow I got this as a present for my friends 21st birthday and fell in love with the colours, so ever since then I have been wanting to get it for myself. The No7 Eye Palette caters to all occasions, you can create a beautiful and subtle daytime look or even smokey eyes for a night out. As you can see so far I have just tried out a couple of the different shades but have loved the ones I have used. They are just such stunning colours and I love the ones subtle enough for the daytime because it means I can use it everyday. 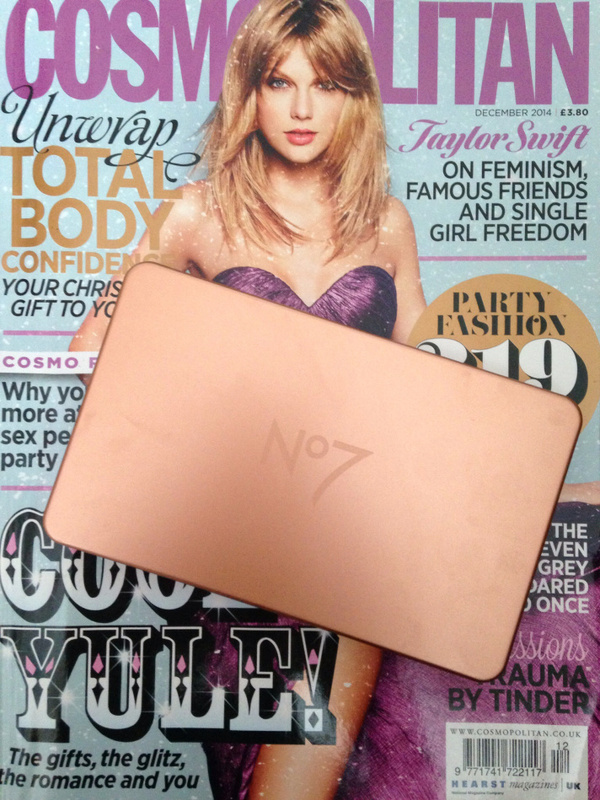 The No7 Mini Eye Palette costs only £10 which is a really reasonable price and the quality is really good. I am very impressed and my eyes look amazing from the time I leave the house in the morning until I return in the evening. No7 have done amazingly with their Christmas selection this year and I am beyond impressed, I love their big eyeshadow palette, mini lip treats and their crackers. Such a great range and I really hope some is left in the Boxing Day sale!! 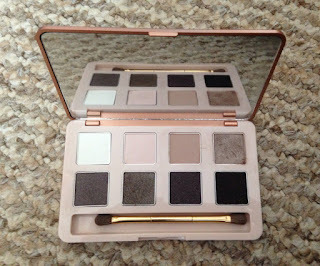 :) There was only two Mini Eye Palettes left when I was in Boots in Bournemouth so I would buy it quickly if you really want it, it is no surprise that it has been really successful! !